Friendly success in East Yorkshire. Leeds United continued their good pre-season form with a dominant victory over North Ferriby United at the Eon Visual Media Stadium. Marcus Antonsson went close in the fifth minute from a free-kick, Luke Ayling headed across goal, but the striker could only fire over. Dallas himself then found himself through on goal after a neat ball from Souleymane Doukara, but the winger couldn’t get the better of Ross Durrant who made a good save. Antonsson was then picked out with space in the box, he had the opportunity to square the ball across goal, but opted to shoot from a narrow angle, but he once again couldn’t beat Durrant. Gaetano Berardi had the opportunity to break the deadlock when Eunan O’Kane picked him out with a fine ball, he turned well and fired at goal, but once again Durrant wouldn’t be beaten. It proved to be fourth time lucky for Antonsson in the 18th minute, he took control of a through ball with his chest superbly, before sliding the ball past Durrant with a cool finish. Roofe again went close when he was picked out at the back post by Dallas, but his header was superbly stopped by the North Ferriby stopper. Ayling then did well to pick out Roofe with a neat pass, but Roofe could only fire off target. 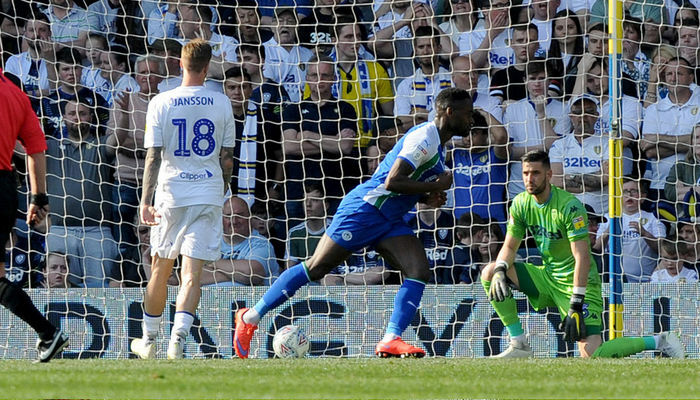 Antonsson nearly grabbed a second on the 30 minute mark, O’Kane did well to get to the byline, he squared for the striker, who was denied by what looked to be a hand, before blazing the rebound over. Dallas then did really well to pick out Roofe, he got his head to the cross and headed across goal for Antonsson, but his shot on the turn was blocked. After the break Thomas Christiansen rang the changes, with seven players replaced, as Marco Silvestri, Toumani Diagouraga, Vurnon Anita, Kalvin Phillips, Ronaldo Vieira, Madger Gomes and Conor Shaughnessy entered the field. The Whites doubled the advantage ten minutes into the second half, Roofe found the back of the net with a strike from the edge of the box, which hit the crossbar and bounced over the line. Antonsson again had another opportunity just after the hour mark, he controlled superbly, before firing just over, from just inside the box. Gomes proved to be troublesome in the second half, he did well on the left, before seeing his cross deflect just wide of the North Ferriby goal. In the 71st minute, Gomes then provided a fierce low cross, across the face of goal which fell to Roofe at the back post, but he could only fire over. Substitute Eoghan Stokes then almost provided a fine assist, with a back-heel across the face of goal, but Gomes scuffed his shot. Roofe went close once again with six minutes remaining, his low effort from range went jus wide of the post. Gomes almost punished the North Ferriby goalkeeper for a mistake, he played the ball to the feet of the winger, who tried to lob the shot stopper, but his effort was off target. The former Liverpool winger continued to try and get on the score-sheet, he charged forwards from the left flank, before unleashing a strike, but once again he could only fire wide. 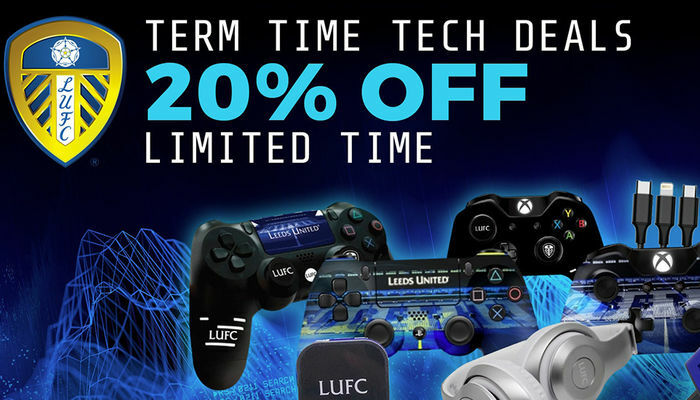 Roofe then picked out Gomes with a fine low cross, but he was denied by a brilliant save from eight yards out, as Leeds had to settle for a two goal victory in a dominant performance. North Ferriby: Durrant, Cooke,Kyei, Fry, Skelton, Picton, Russell, Johnson, Ambula, Alberto, Emerton. 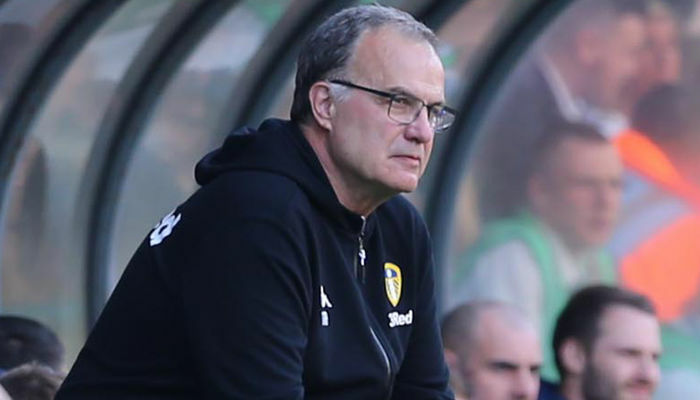 Leeds: Wiedwald (Silvestri 45), Ayling (O’Connor 71), Jansson (Anita 45), Cooper (Diagouraga 45), Berardi, O’Kane (Phillips 45), Bridcutt (Vieira 45), Dallas (Gomes 45), Roofe, Doukara (Shaughnessy 45), Antonsson (Stokes 71).